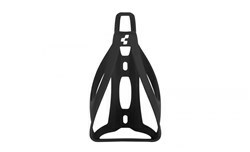 The optimized construction of the bottle cage allows to load your bottle from the top or slightly from the side. All different bottle sizes hold securely on the frame. Perfect colour coding allows the cage to match nearly every bike of the CUBE range. Bought this bottle cage for my wife’s bike. Looks great. Does the job. Does what it says on the tin. 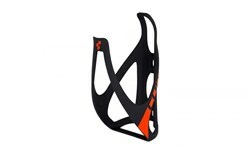 Looks great on my Cube Attain Race - though be warned that the Matt Black/Red is actually Matt Black/Flashred. It's not enough of an issue to warrant the costs and effort of a return, but I'd have chosen a different colour had the product description been correct on this site. Bought this to match my Cube Race Disc in Grey and Flash Red. Colour matches and it looks really nice on the bike. It also holds my bottles well but can be a little fiddly to reinsert on the go. 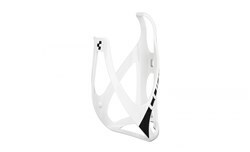 Wouldn't usually pay this much for a plastic bottle cage but I've found it to be good value for money. If your looking for a bottle cage to match your bike colour, then look no further. Looks fantastic and worth the money. Would be better if Cube supplied them with the bike maybe. All round very good, great colour match for the detailing on my bike but... No screws with it to attach it to the bike. Rather a disappointment that. The green colour matches my cube analog perfectly and looks amazing, highly recommended. Holds the 500ml Cube Bottle perfectly. Good fit, does not rattle. Had no problems taking the bottle in and out of Cage. Looks good too. I bought these for my Cube road bike but getting the bottle in and out on the go is almost impossible. 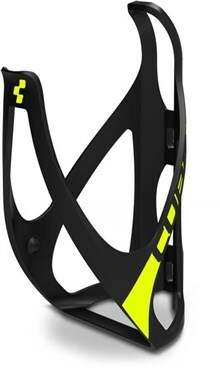 Would be good for a MTB as holds the bottle very tightly. The matt black cage matches the carbon bike very well though. Got this in colours to match my cube stereo mtb. Pretty light and good quality. Bottles are a tight fit so I think this is perfect for mtb use.